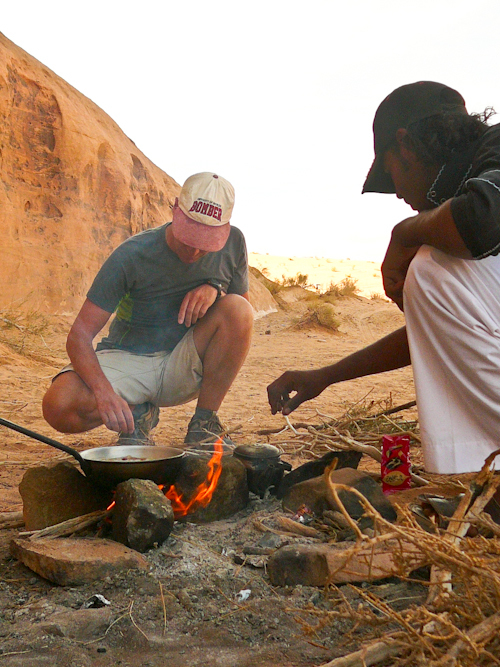 In the middle of the Wadi Rum desert in Jordan, sheltered only by the rocky outcropping behind us, we scrounged for wood to make a fire and quickly a Bedouin lunch was created. Although this is not how they truly live today it was easy to imagine what life in this red-hued landscape was like in the not-too-distant past. This is how food is still cooked in rural India. It must have been quite an experience for you. Fabulous capture.